Though millions have been heeding the advice of the famed Dr. Mehmet Oz for years, a new study should make you think twice before listening to what this doctor has to say. Dr. Oz is known for proclaiming various herbs and supplements to have miraculous health benefits, but as we now know there may not be much to back up his claims. Forbes.com contributor Alice G. Walton reports about a new study from the University of Alberta regarding TV doctor shows and whether or not we are hearing sound advice from famous figures like Dr. Oz. Researchers involved in the study looked at both the Dr. Oz Show and another show called The Doctors. What they found was that a lot of the medical recommendations given in these shows does not have solid evidence backing them up. After viewing 40 random episodes of the Dr. Oz Show researchers found that more than half of the advice he has given on the show can not be corroborated with any medical evidence. Most of the recommendations offered to viewers has absolutely no “scientific merit”. The researchers also found that most of Dr. Oz’s advice pertains to dietary recommendations and only about 46% of his tips can be supported by scientific evidence within the medical community. The Doctors faired a little better, with 63% of that show’s recommendations being backed by science. 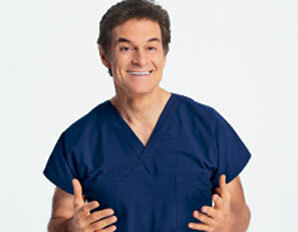 Are you a fan of the Dr. Oz Show? Do you think Dr. Oz gives sound medical advice?